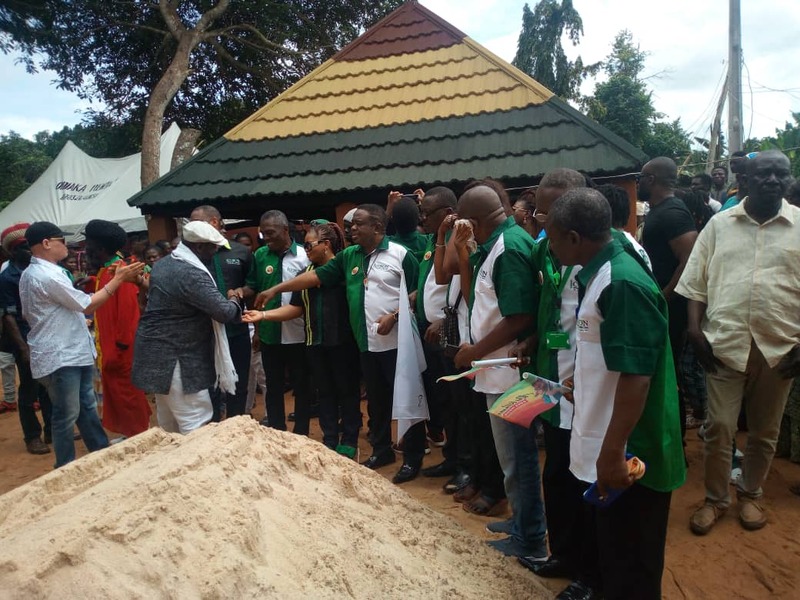 The Onicha-Olona in the Aniocha North Local Government Area of Delta State home of the late legendary reggae singer, Ras Kimono, on Saturday, drew politicians, entertainers, friends and reggae lovers who paid their last respects to the reggae icon. Ras Kimono, whose real name is Augustine Oseloke Onwubuya, died on June 10, 2018 at 60. Many artistes such as Orits Wiliki, Opa Williams, Daddy Showkey, Buchi, Yellow Man, Righteous Man, Candy Sea and Bright Chimezie, were among those who attended the final burial rites held at the deceased’s family compound. The casket bearing the remains of the popular musician was designed and dressed in Rastafarian colour as relatives, colleagues and fans trooped to have a glimpse of his remains before being finally laid to rest. His corpse was interred at exactly 3.20pm. Many of the attendees like Wiliki, Daddy Showkey sobbed uncontrollably. A cleric of the Asaba Diocese of the Anglican Communion, Ven. Dr. Ogom Josiah, who said the final prayer for the late musician, said the late singer touched lives with his talent. He urged the sympathisers who thronged the community to use their talents for God and mankind. The Chairman, Copyright Society of Nigeria, Tony Okoroji, who spoke at the ceremony, appealed to Nigerians to support the children the deceased left behind.